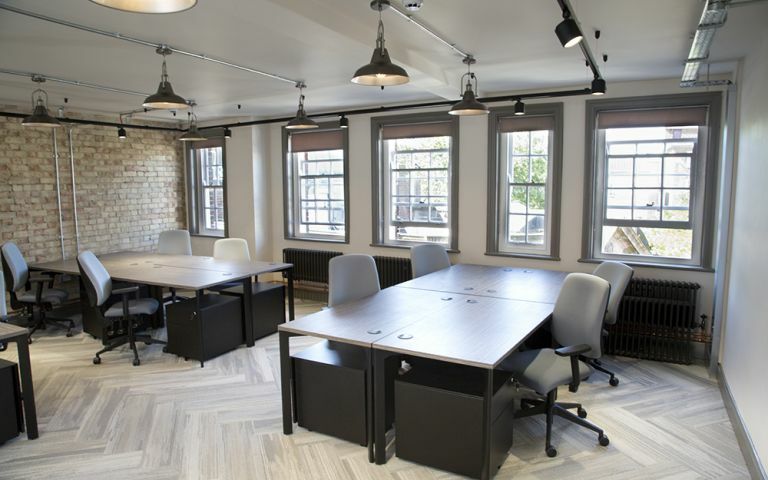 Recently refurbished to bring out all the character of the building, this centre is a stunning modern serviced office in the heart of Aylesbury town centre. Flexibility is the key so whether you’re looking for 1 desk in a shared office to an office space for 12 people we have the space to suit your needs. We believe life should be kept simple so we provide flexible plans and rates are all inclusive: fully furnished offices with large desks and high specification chairs, lockable pedestals, fast, fibre optic broadband, smart phone enabled door system, 24/7 access and a communal kitchen with a Barista standard coffee machine. For meetings there is a 6 person meeting room with LED screen and several breakout areas if you need a break from the office. Located in the centre of Aylesbury you have full access to all local shops and restaurants plus links to great public transport. Local car parks within a 5 minute walk of Market House ensure there is never a problem with parking for you or your guests. The Haddenham serviced office is a bright spacious property which has many amenities which include: Aircon, 24 hour access, Cat 5 cabling and on-site parking.